Working without a roofing consultant means you will be prone to information gaps. 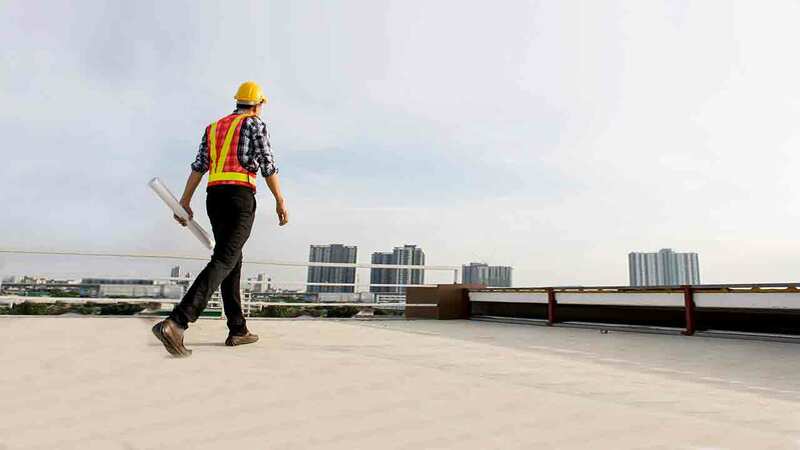 A roofing consultant that is present from the very beginning, however, can ensure that standards are being met as the roof is being built, potentially eliminating problems down the road. From design to materials to repairs, roofing consultants can help you create a roof that lasts and resists the elements at the price you need. Here are a few ways to deploy a roofing consultant for maximum effect. Your building consultant is going to have authoritative knowledge of state building codes. They may be able to tell you that even though state building codes specify a certain amount of load tolerance or uplift resistance or energy efficiency, you can apply for an exemption, or use a cheaper material that will gain the same results, or even just save money by changing your design elsewhere. Circumstances may force you to create a unique or non-standard roofing design. Once that unique roof is built, it will eventually need repairs. You may also decide to add components such as a roof walkway system. A future roofing repair company may use your design’s uniqueness as an excuse to charge you more. If you use a roofing consultant to design your unique roof, you’ll have a defense. The consultant will know where and how to annotate your design, showing where it varies from a traditional roof, why those changes were made, and how it needs to be repaired. Your consultant will also provide similarly meticulous record-keeping in terms of material selection. Even if your roof isn’t unique, you and your roofing contractors will still benefit from comprehensive documentation, plus instructions and suggestions on how to repair and maintain it. Not only will repairs cost less, but they’ll also go much quicker. That means that you’ll be able to repair your roof and not only minimize the cost of the repairs themselves, but also the external costs such as disruption to building operations. When the time comes to sell the building, you’ll find that a set of comprehensive plans—plus a roof that’s in good shape and easy to maintain—will present a strong selling point for the new building owner. By working with a roofing consultant, you will be able to secure value in both the short term and the long term. During construction, you will be able to build value by achieving strict compliance with local building codes—without having to pay for unnecessary materials or expensive construction techniques. After construction, you’ll be able to save on repairs by relying on a comprehensive record of your roof’s construction. Contractors will be able to speed their work by leaning on your consultant’s suggestions regarding techniques and material choices. Lastly, by saving on both construction and maintenance, you’ll be able to keep your roof in better repair for much longer. Combined with your extensive documentation, you will find that this will make it easier to sell your building in the future. Retaining a knowledgeable roofing consultant means creating a building that’s desirable for building owners and tenants alike. Want to learn more information about how to keep your roof safe, durable, and easy to maintain? Talk to PHP Systems/Design today and learn about creating flexible access pathways for your new roof!